Montana talks about coming into this role and the excitement to work with the cast. FOX’s “Rosewood” airs on Fridays at 8 p.m.
From executive producer Todd Harthan, medical procedural ROSEWOOD enters its second season, as it continues to follow DR. BEAUMONT ROSEWOOD, JR. (Morris Chestnut), Miami’s top private pathologist. Brilliant, cool and with tons of charisma, Rosewood works alongside tough-as-nails DETECTIVE ANNALISE VILLA (Jaina Lee Ortiz), to uncover clues that no one else sees, and help the Miami PD solve its most challenging cases. 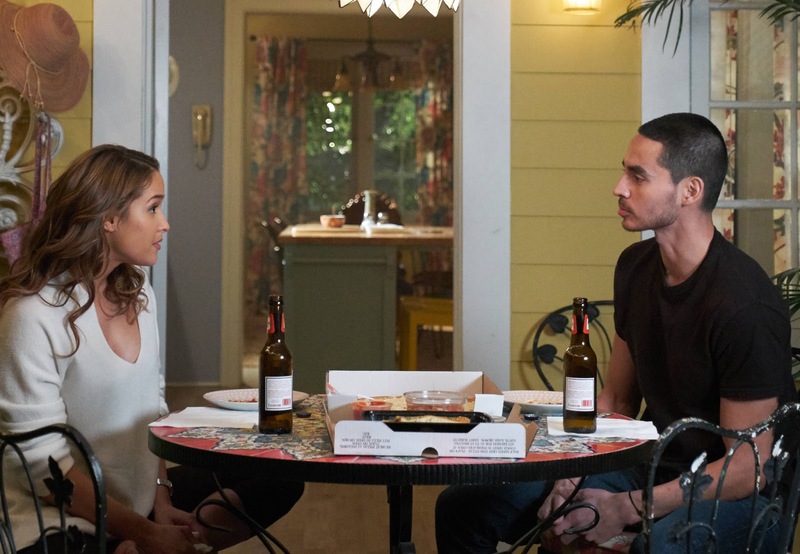 Joining Rosewood in his practice are his sister and “toxicology queen,” PIPPY (Gabrielle Dennis); and DNA specialist TARA MILLY IZIKOFF aka TMI (Anna Konkle), who is Pippy’s former fiancée. Rosewood’s mom, DONNA (Lorraine Toussaint), retired from her high school principal position, divorced her husband and joined her children in the lab as a sometimes-overly involved co-worker. Rounding out the cast is DETECTIVE IRA HORNSTOCK (Domenick Lombardozzi), who is a great team leader but is terrible at managing his own life, and East Miami Police’s newest member, CAPTAIN RYAN SLADE (Eddie Cibrian, “Baby Daddy,” “CSI: Miami”), a man with a mysterious past, who will both challenge and complicate an already messy situation between Rosewood and Villa. Plagued with his own set of medical ailments, Rosewood believes that every moment of life, no matter how small, should be embraced and lived to the fullest. This heightened awareness allows him to see details on bodies that others cannot. But what drives him most are the victims who are stripped of life’s moments. As Season One came to a close, the decks were cleared for Rosie and Villa to finally act on their feelings. Rosie stumbled on some information that forced him to embark on his own private investigation without Villa, and what he found could change their relationship forever. This season, Rosewood and Villa go to New York City to solve the murder of her husband, Eddie, and will take on cases involving college fraternities, plastic surgery, treasure-hunting and Santeria.